President Muhammadu Buhari may have strengthened his hand in getting the presidential ticket of the ruling All Progressives Congress, APC, with last Tuesday’s sweeping extension of the tenure of the National Working Committee, NWC. Buhari & Saraki However, more trouble lies for him in the general contest from a coalition of displeased party members and the opposition Peoples Democratic Party, PDP, that could make last Tuesday’s endorsement of the NWC a pyrrhic victory. That is if the President resolves to seek a second term despite health and age concerns. Buhari, who was inaugurated as President at the age of 72, making him the oldest person to have occupied the Nigerian presidency would extend that record if he goes on to win a second term at 76. Saraki, who was an influential factor in rallying the Middle Belt and the business community towards the Buhari candidacy ahead of the 2015 elections has twice been charged by officials of the Buhari administration on two alleged crimes; forgery of the 2015 Standing Rules of the Senate and wrongful declaration of assets. The charge of forgery was withdrawn by administration officials upon lack of evidence while the government and Saraki have appealed and cross-appealed disfavourable judgments on the assets declaration charges. With Saraki apparently being pushed to his wits’ end, It was learnt that he is being prevailed upon to forgo his reported presidential aspiration to help forge a strong alliance that could stop Buhari’s second term. Those canvassing the idea expect Saraki to return to the PDP and help push the candidacy of any of the four major aspirants being canvassed to fly the ticket of the opposition party. The four include Governor Aminu Waziri Tambuwal of Sokoto State, Senator Ahmed Makarfi, Alhaji Sule Lamido and Atiku Abubakar. Saraki has become increasingly distant from the APC despite reconciliatory moves made by Asiwaju Bola Tinubu towards him and his allies. A source disclosed that immediately Tinubu was given the assignment to lead the reconciliation one of the first persons he met in Abuja was Senator Saraki. “Asiwaju told him that he has been given the job and that he needed Saraki’s cooperation for the job,” a source privy to the encounter between the two men which occurred about two weeks ago said. The encounter between Saraki and Tinubu was particularly sensitive given claims that the APC national leader was one of those who marshaled opposition to stop Saraki from occupying the office of Senate President. That meeting between both men did not produce any breakthrough but that did not stop Tinubu in his task. Evidence of the lack of substance from the meeting was Saraki’s absence at two national meetings of the party earlier this week; the national caucus on Monday and the NEC meeting the following day despite being in Abuja. Saraki remarkably was in court last Tuesday when the NEC of the party took place in Abuja. One associate of Saraki ’s associates dismissed insinuations about his absence at the two meetings. “How could they have expected him at the meeting of the national caucus when he would have been preparing himself for the court case that was to come up the following day, and that was the same day that the NEC was holding.” Saraki’s Spokesman, Mr. Yusuph Olaniyonu was, however, quick to disabuse any claims of mischief in the absence of the Senate President at the two meetings. In a statement issued late on Thursday, Mr. Olaniyonu said the Senate President returned from an official Senate engagement in Benin late on Monday and was unable to attend the caucus meeting. He also traced his absence at the NEC meeting to the CCT trial. It stands to reason that he cannot be in two places at once, and so he was unavoidably absent at the NEC meeting. “Dr. Saraki is not one to sneak into a room via the window. He would rather enter through the front door so that his entry is well noted and acknowledged. Nigerians know that when he joined the APC, he did not sneak in. 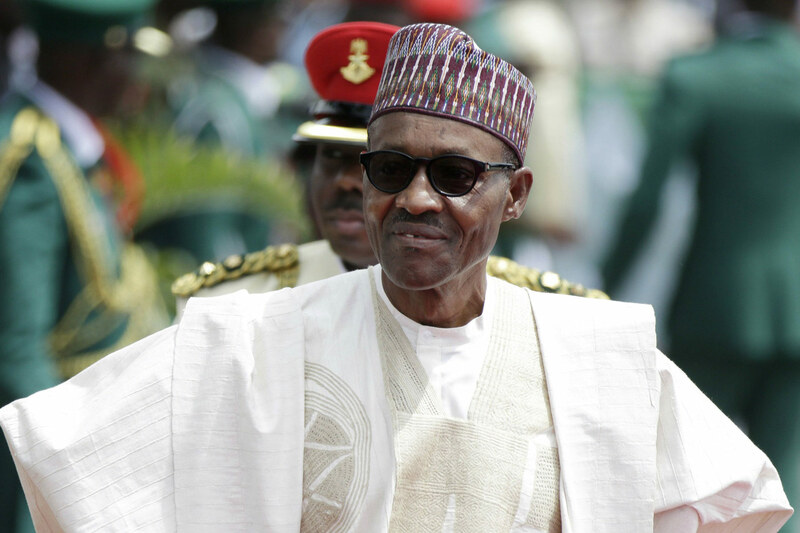 Therefore, no one should attach any mischievous or inaccurate interpretation to his absence at the two meetings held at times when his whereabouts were a matter of public record.” Despite Buhari’s continued popularity in some portions of the North, his critics within the party believe that it is possible to defeat him and hence the shopping around for strong politicians to turn the tide against the President. Besides Saraki, others that are being courted include the influential senior senator from Zamfara, Senator Sani Yerima and the immediate past governor of Sokoto State, Senator Aliyu Wamakko.